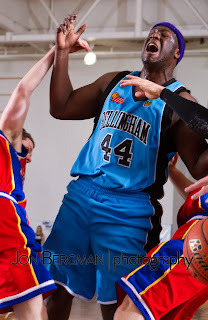 The Bellingham Slam struggled early against the Vancouver Volcanoes. Trailing the visiting team midway through the second quarter the Slam captured the lead and began their rout with the score 52-41 at halftime. The Volcanoes could not catch up as the Slam found their rhythm and opened a 20-point advantage. Morris Anderson lead all Slam players in scoring with 23 points and added 6 assists to his stats. Final score: 117-95. Click here to view photos from the game.